[toc] If your body feels stiff and you find it difficult to move around, it could be due to a medical condition called arthritis. It is mostly seen in people over fifty years of age. Actually, arthritis is the common term used for many conditions that generally cause pain in the joints as they become stiff and inflamed. Some of the most common types of arthritis are osteoarthritis, rheumatoid arthritis, juvenile rheumatoid arthritis, infectious arthritis and psoriatic arthritis. Though joints are mainly affected by arthritis, sometimes other organs such as skin or eyes may also get affected. Arthritis can cause a lot of discomfort and make it difficult to perform simple activities. Although there is no known cure for arthritis, different medications help to provide relief from its painful symptoms. Mostly, a combination of these are recommended for the treatment. Given here are some commonly prescribed medications that are useful in the treatment of various symptoms of arthritis. 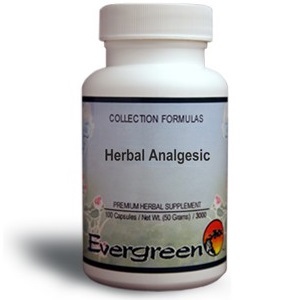 Analgesics, or painkillers, help to provide relief from pain. There are many kinds of pain medications that use a combination of drugs and are helpful in relieving inflammation, pain, and fever. They may be available as over the counter medications such as ibuprofen and aspirin. Only small doses should be taken for a limited period of time. Others can only be taken as per prescription and include codeine, oxycodone, etc. These are narcotics and can make you addicted to them, so these should be used only as prescribed. These are new types of medications that are increasingly being used in the treatment of arthritis. Cox-2 inhibitors work to reduce inflammation and provide relief from pain. They are similar to analgesics, but are preferred as they cause less irritation to the stomach lining and the chances of developing stomach ulcers are greatly reduced while using these medications for arthritis treatment. Corticosteroids are medications that help to reduce inflammation and are popularly used in the treatment of arthritis. These are similar to a naturally occurring hormone in the human body and possess the property of reducing harmful inflammation in the joints and other organs in the body. Long term use can cause serious side effects and should be avoided. 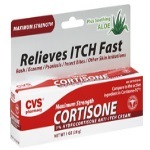 Cortisone are commonly prescribed corticosteroids for arthritis treatment. These can be either taken orally or have to be injected at the site of inflammation. These medications are used to treat moderate to severe arthritis. DMARDs are prescribed to prevent further damage to the joints due to arthritis. These medications do not provide any relief from the symptoms but are used to prevent worsening of the condition. Side effects such as stomach upsets and lowered immunity occur with constant use, but these have to be taken for at least three to six months. Pregnant women are advised not to use these medications. 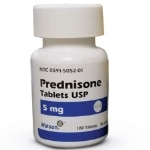 Our body produces natural substances to fight infections, and similar substances called BRMs are grown in labs to treat serious health conditions with prednisone. BRMs are also used to treat chronic arthritis and help to prevent further damage to the joints. BRM therapy has its own side effects such as flu like symptoms, rashes, bleeding and bruising. For this treatment, the patient needs to stay in a hospital. Side effects disappear as the treatment is stopped.